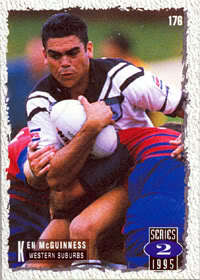 If you missed part one of the “He Played How Many Games For NSW?” Hall Of Fame article, click here. Otherwise proceed to part 2 below! The only possible two scenarios if you didn’t do that are that you are a Manly fan, or you are Nik Kosef. Another player who got his start when Origin players were thin on the ground thanks to the Super League war, but somehow managed to stay on til the end of the decade in spite of his limited ability. If you want further proof of his deservedness for this Hall Of Fame, look no further than the list of players he played more matches than. Les Davidson was part of the 86 Kangaroos and was named the Dally M Player’s Player for 1987. Gavin Miller was a two time Dally M Player of the year, RLW Player of the year and Rothmans Medallist. Peter Wynn won 4 competitions with Parramatta and has his own Score! Kosef just has a weird name and a career ending knee injury. 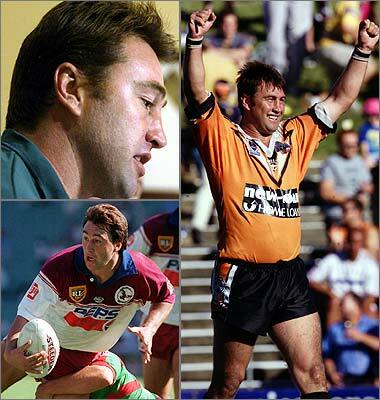 He probably could have played even more Origin games, but for 4 consecutive knee injuries and really should have been the ultimate bench player with his ability to play in the Second Row, at Lock or even as a Five Eighth – where he won a competition with Manly. The real reason that Kosef isn’t remembered as fondly as others is because he only really got 5 full seasons in first grade to show his stuff. Injuries at both the beginning and end of his career meant that in spite of his career lasting from 1992 to 2002 he played 75% of his career matches between 1995 and 1999. You’re supposed to honour your fallen soldiers, not mock them. Kurt Gidley is like the rich kid who gets his way through life on his family’s reputation and never has to work hard but is constantly talked about in terms of “potential”, and always ends up disappointing you. 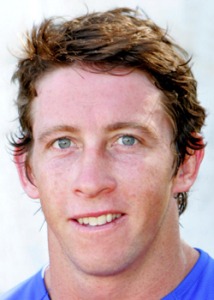 Gidley has coasted through his entire career on his legendary brother’s reputation, even being given the NSW Captaincy in 2010, where not even a move to the BENCH could stop that silver spoon from sitting comfortably in his mouth. Judging by his resume compared to his actual ability, I’d be surprised if that was the only thing that’s constantly in his mouth. He has only won 3 of his 12 games at Origin level and 2 of those were in dead rubbers. The kid is a dud who never lived up to the billing that he was given when he first started in the top grade and I’ve literally never heard a Rugby League supporter (outside of the media) state that he was a good player. Ever. You don’t become the NSW Captain for being a bad player. You aren’t one of the first players picked every year because you’re over-rated. History shows that truly over-rated players are almost always shown up for the frauds that they are well before playing 12 Origins and 12 Tests. Kurt Gidley has been in the NRL for 13 seasons now and in spite of seemingly always being on the treatment table, last year was the first time he missed an entire Origin series since 2006. He has been through the toughest time in NSW Origin history and he is still willing to put his hand up and go once more unto the breach for the Sky Blue of NSW even if it puts him on the injured list yet again. If it weren’t for his career being plagued with pain, he might be remembered as the greatest super-sub the game has ever produced for his ability to play literally anywhere outside of the 8, 10, 11 and 12. Jason Moodie is like white out on a white piece of paper. He’s pointless. If I was to draw Jason Moodie, it would look like this. It’s no coincidence that withing 2 years of him leaving the Knights, they went from 7th to Grand Final winners. Within two years of leaving the Eels they went from 9th to Minor Premiers. Within one year of leaving the Tigers they went from 9th to Grand Final winners. His selection on the Wing for NSW in 2002 would be laughable if it weren’t for the fact that he somehow beat out SO MANY players that were far better than him and deserved it a lot more. Look, he may not have been the flashiest player to play the game, but he went about his business professionally and smartly, and while his performances may not be all that memorable, he does have a respectable record of 83 tries in a 173 game career. That’s not to mention that in his 3rd and final Origin performance, he actually scored two tries and played a large part in NSW drawing that final game of the series (though it didn’t matter because QLD retained the shield) He was part of the infamous 1997 Knights team and the 2001 Parramatta side that broke all sorts of point scoring records and fell agonisingly short of a Premiership. He’s not going to be an immortal unless they change the definition of the word, but 3 games may actually be a fair total for someone of his ability. I’m not going to lie, this is a tough sell for me. He makes the list purely for being the player to have played the most matches for NSW without ever getting a single start. He had a glittering 12 year career in the NRL that included 4 grand finals and while he did manage to get a starting berth for 6 Kangaroos matches, he was never quite able to do so for NSW. Why? Was his utility value THAT good that it would go on to define how NSW uses that bench spot to this day (likely)? Or was he just not quite good enough to take that next step and lead his state from the front (possible)? I don’t know. You be the judge. Pretty much just see above. The guy was a star and I genuinely believe he was the equal of, if not better than, all three players mentioned above that he played more games than. In fact he’s still playing professional sport in Japan and may be going to the Rugby World Cup at the current age of 33. What a guy. Come on, I think Ken McGuiness himself would admit that he belongs in this hall of fame. He was only ever selected by his club coach and good mate Tom Raudonikis while he was the Blues coach. He had a below average club career scoring just 36 tries in 122 matches (which for an outside back is pretty awful). He played in one finals match in his life (and lost) and his playing prospects came to a sudden halt when his personal life went off the rails and he allegedly developed a drug problem. His most famous moment is literally when he was picked for NSW and never came off the bench. Think about that for a minute. He;s famous for NOT playing. This is one is a gimme. I think Kevin McGuiness will even vote for him. Played more games than – Matt Cooper, Mark Gasnier, Timana Tahu, Ben Kennedy, Noel Cleal, Des Hasler, basically all but 22 other players on the face of the earth, which is ludicrous. He challenged the entire draft system in court (and won) just so he could go and play for Wests…which he did for 2 years and then left them too. There are few less deserving humans, let alone players, to be called a New South Welshman, and frankly this whole thing should be named the Terry Hill Hall Of Fame, only that would appear to give him some sort of credit for something, which he doesn’t deserve. There will be no case against. Terry Hill is the inaugural inductee in the “He Played How Many Games For NSW?” Hall Of Fame.